Marianna's Heirloom Seeds - 2015 Catalog - Over 2,500 Varieties Online! 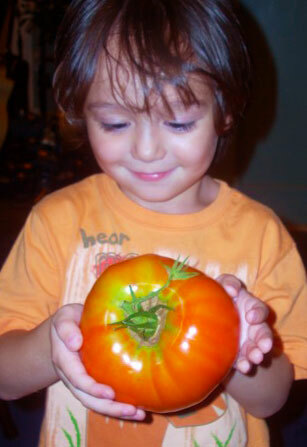 Marianna's Heirloom Seeds is your open-pollnated online source for heirloom tomato seeds, tomato plants and heirloom vegetable seeds with over 1,000 seed varieties in our store. Be sure to also check our our live plants in the online store here at mariseeds.com. Welcome to Marianna's Heirloom Seeds 2015 Catalog. We will be offering hundreds of varieties of tomatoes, peppers and eggplants at our spring plant sale again this year, starting April 7th through June 2nd. Saturdays 9:00 to 4:00 and Sundays, 9:00 am. to 3:00 pm. Weekdays by appointment only. Email for your appointment. Hundreds of folks returned this past spring to purchase plants from Tennessee and the surrounding area and it's very exciting to know that more and more people are able to experience growing these wonderful, great tasting heirlooms! Hello, my name is Dean Slater, of PKS Heirlooms. I have been getting seeds from mariseeds for a long time.